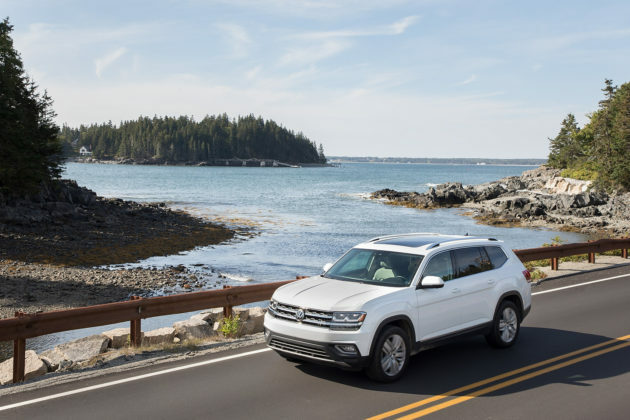 Home News Should You Buy a 2019 Volkswagen Atlas? Should You Buy a 2019 Volkswagen Atlas? 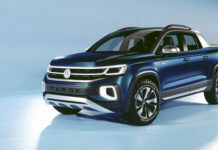 The Volkswagen Atlas is a bit of an odd duck in the three-row, mid-size SUV segment which is traditionally Japanese and American automaker territory. 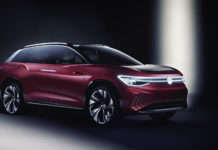 Still, Volkswagen has managed to build a compelling product. 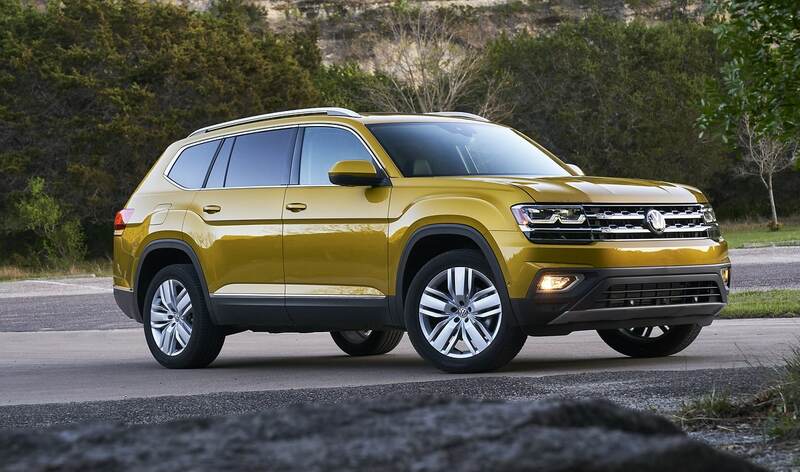 Maybe its the fact that a model like the 2019 Volkswagen Atlas shouldn’t even exist that makes it notable. It’s not perfect, but it’s German enough that it can please buyers who would never have considered this kind of vehicle before the Atlas became available. What does “German enough” mean, you ask? Well, let’s get out of the way right now the fact that driving a mid-size SUV isn’t exactly fun in normal cases. 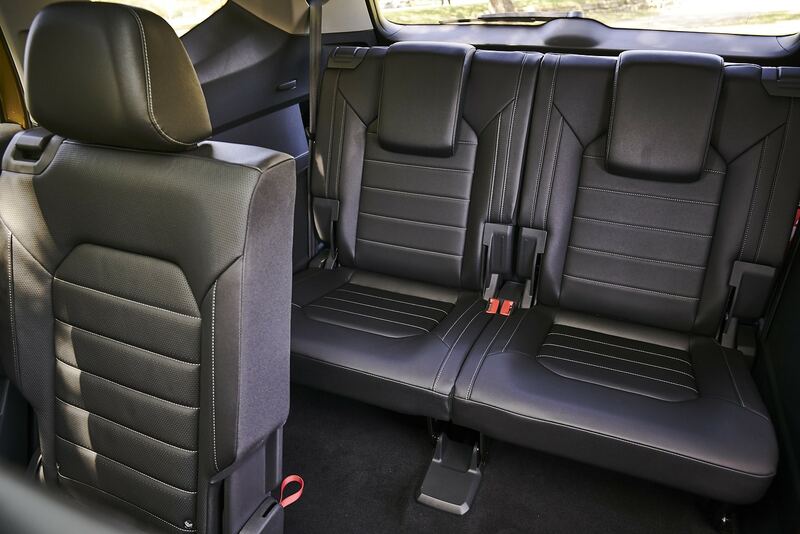 Models like the Honda Pilot, Toyota Highlander or the Ford Explorer are spacious, comfortable, packed with cargo space and features… But they are not exactly sporty. They are built for families who need space and that’s about it. The Volkswagen Atlas can help you if you need space, but you will also find a fairly connected steering setup that gives the driver the impression of being closer to the car. Steering in a big SUV can be vague, light, and sometimes too comfortable. The Atlas tightens the strings a little bit. Only the Mazda CX-9 can match it in terms of driving dynamics. The Subaru Ascent comes close. For some odd reason, the Atlas feels more luxurious and expensive than its rivals. That’s because the price is higher than the segment average, for one, but it’s bold, blocky design gives it a different vibe than the rounded, generic shapes found in other models in this segment. 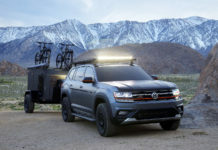 But does that mean you should buy a 2019 Volkswagen Atlas? 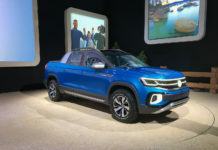 1) The 3.6-liter V6 powering most 2019 Atlas versions and that comes standard with all-wheel drive is smooth and powerful. It gives the big Volkswagen SUV a springy feel and reacts without hesitating. Although 276 horsepower doesn’t seem like that much, the Atlas feels like one of the fastest mid-size, three-row SUVs you can buy. 2) That engine also gives you 5,000 pounds of towing capacity which is more or equal to most of the Atlas’ rivals. 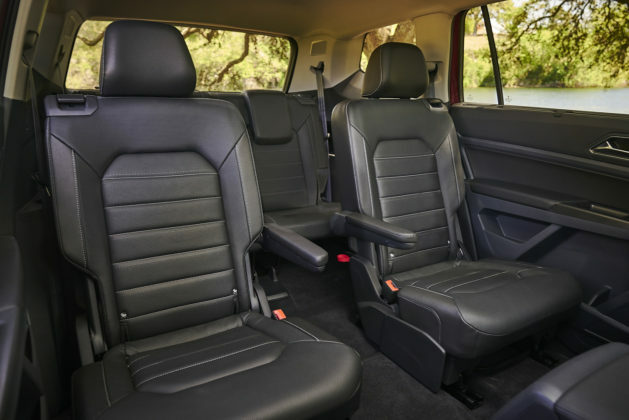 3) As far as mid-size SUVs go, the 2019 Atlas is one of the most spacious. You can actually use the third row which is not something we say often when looking at this type of vehicle, and even when you use it you still have 583 liters of cargo space left. 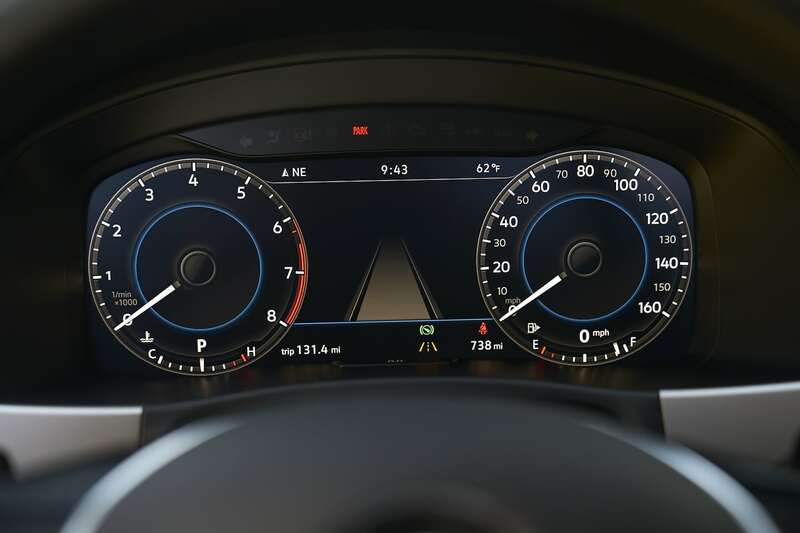 4) The high-end Execline model doesn’t feel far from a luxury German brand’s mid-size SUV. The materials are excellent and the digital instrumentation display is unique. Sure you’re paying over $60,000 once you factor in taxes, but have you seen the price of a new BMW X5 or Audi Q7? 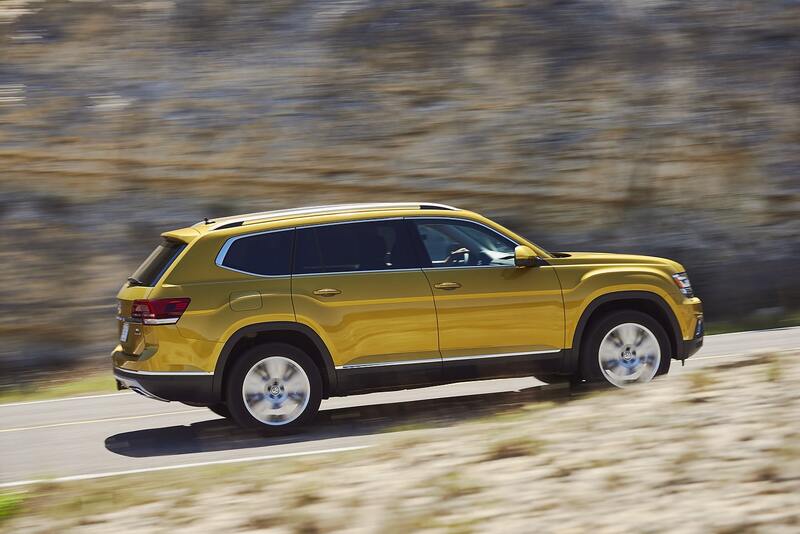 The Atlas, although not as refined, gives you plenty of luxury value in the top trim. 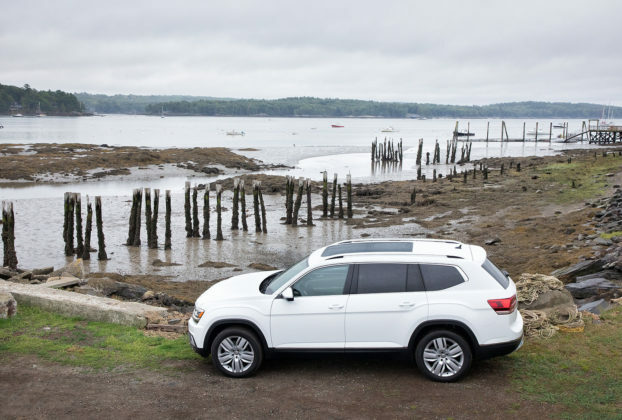 5) We mentioned this in the intro, but the 2019 Volkswagen Atlas is a great driver’s SUV. Steering is heavy enough to give the driver confidence without being uncomfortable and the Atlas brakes with more bite than any other mid-size SUV with three rows. 1) We said the top-of-the-line Execline provides a lot of value and it does. 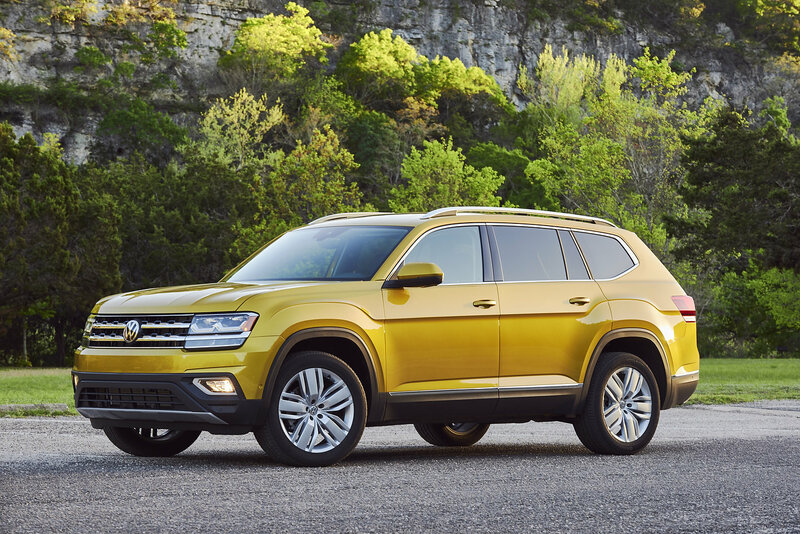 On the other hand, the Volkswagen Atlas is a more expensive proposition than many of its competitors. 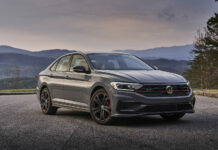 The base 2.0-liter, four-cylinder engine with FWD isn’t attractive at all which means a decent Atlas with all-wheel drive and the V6 starts at over $40,000. 2) When we say it isn’t attractive, well it’s because that 2.0-liter turbo can only come with front-wheel drive and it still costs over $35,000. It’s underpowered and it’s not like it’s that fuel-efficient. It’s there to lower the price of the Atlas to a somewhat decent level. 3) We know a V6 isn’t supposed to be fuel-efficient, but the Atlas is even worse than it’s main competitors. 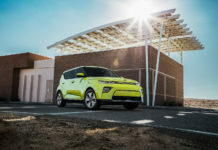 It’s not the least fuel-efficient mid-size three-row SUV you can buy, but it’s part of the group. If they are driving a Volkswagen, love it, and just need something bigger without being excited about it, we tell them to get the Atlas. 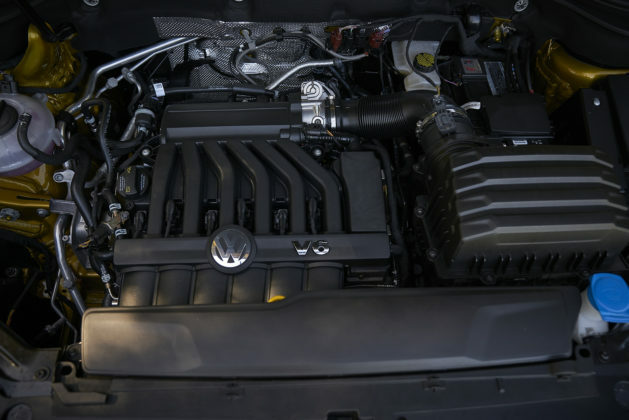 They will get everything they love about their Volkswagen with more versatility. If you own a Pilot or any Honda/Toyota product, you may want more comfort than what the Volkswagen Atlas can provide. This mid-size SUV is all about balance, and being different. It’s more fun to drive than any competitor save the Mazda CX-9, and feels more luxurious. It’s also more expensive. 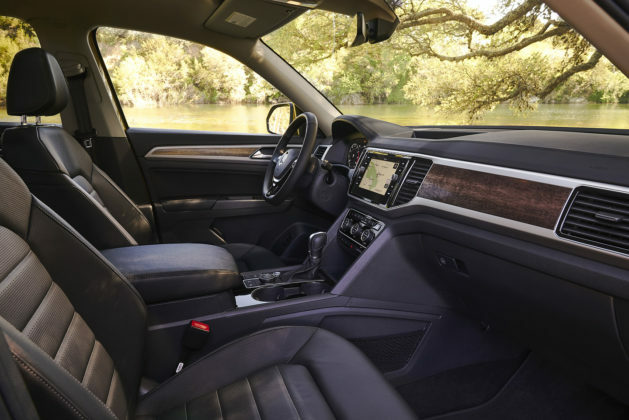 You have to want to do things differently to truly enjoy the 2019 Volkswagen Atlas.